Yesterday we had a day trip to Tijuana and surroundings, we had a lovely time with my brother and his family. We made a stop in Puerto Nuevo, a little town just after Rosarito Beach, Baja California, it is known as the “lobster village” and now I know why, when you get into the town almost everybody has a restaurant and serve lobster. When we went, the town was very quiet, it was a Tuesday evening, but I have been told that during the weekend it gets full up with people trying to taste the speciality of the town, specially during these nice hot summer days. Anyway, I went into a restaurant called “Ortegas” and talked to the friendly Chef José Antonio Hernández, who is also a composer, he told me how the lobster Puerto Nuevo style is done and served. “Ortegas” Restaurant is like an institution in Puerto Nuevo, it has a very Mexican and inviting decor. The kitchen is open plan, so you can see how they prepare your food and it also has its own Mexican bakery and a little stand to make homemade flour and corn tortillas. Chef José Antonio explained me that the secret for Puerto Nuevo’s lobster dish is the freshness of its product, because you literally have your lobster from the sea to your plate. He also described the traditional way to serve Puerto Nuevo Lobster with refried beans, red rice and homemade flour tortillas. Then you just have to open the flour tortilla, put some lobster meat, refried beans, rice and spicy salsa and eat it. 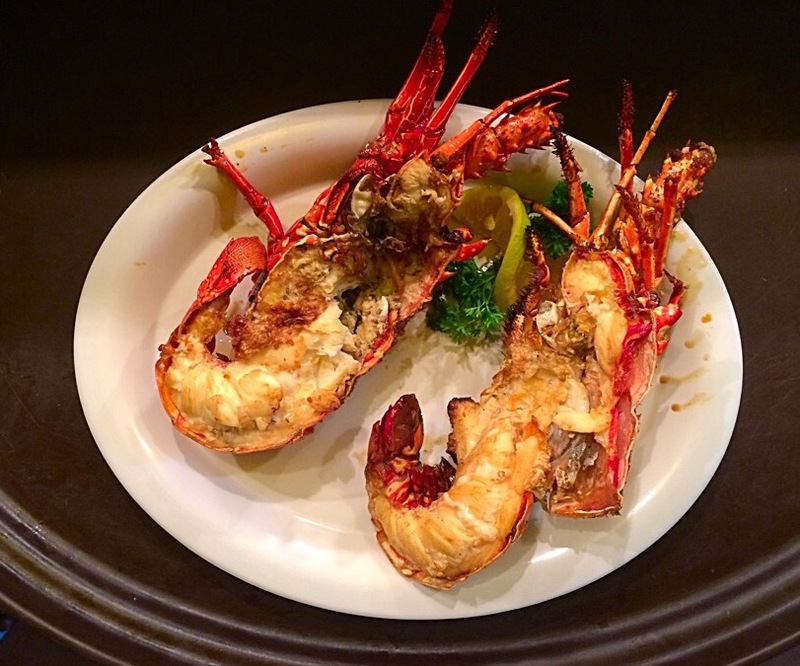 We had a lovely time and the food and service were very good, I loved the passion of how the chef talked about the lobsters he cooks, just like any other Mexican, because we love to talk about our food, it make us feel very proud. To cook the lobster they use a very simple method but it helps the lobster mantain its colour and flavour.Heat the oil and lard together in a fryer or a casserole dish big enough to put the lobster. Add salt and pepper to taste to the lobster and when the oil is very hot, introduce the lobster and fry for 3 min. Serve with refried beans, rice an flour tortillas. Use only oil if you don’t want to use lard. Rapeseed or sunflower oil is fine.